The accident happened in 1969 at the same time the first moon landing was succeeded. Ted Kennedy caused the car accident and he escaped from the submerged car but the woman who was in the car left there and died. 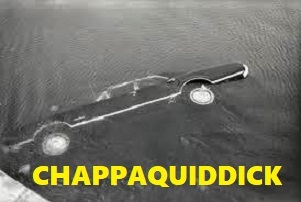 The long narrow cove of Chappaquiddick is not so deep as the car stack out the part of body in the water. This brings up a serious damaging question why he did not rescue the woman when he was escaping from the sinking car (T Kennedy said that he did not remember how he escaped from the car, but everything else he remembered in his favor. It was so clear that this was a case of manslaughter). The film did not satisfy me enough. It mostly shows what had been said and reported to the public and did not go any deeper. Of course, it has to show T Kennedy’s lies after lies, and the corrupted police, judges, Kennedy’s close associates and politicians, yet did not go further to reach and reveal what’s really going on in Ted's mind by judging from the obvious discrepancies that would make further clear how self-centered, immature, no heart for others T Kennedy really was. Well, too bad for me.